Meniere's disease, a chronic disease of the inner ear. Meniere is a chronic disease of the inner ear that affects hearing and balance. It is characterized by episodes of rotary dizziness and tinnitus and progressive hearing loss, usually in one ear (unilateral). The disease is very unpleasant, often with serious social consequences. It affects people differently and can vary in intensity from a mild irritation to a life-long disability. The disease is caused by increased pressure in endolymph. Ménière often begin with one symptom and progress gradually. Early stages of the disease can be difficult to diagnose, leading to unnecessary suffering. The nature of the disease also show that different treatments result in varying individual results. Meniere's disease affects both genders, usually between 25 and 65 years. 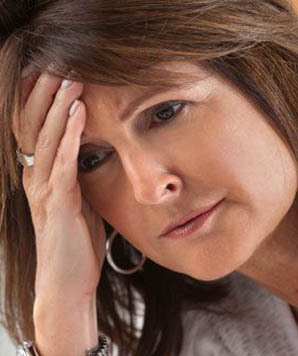 Stress is often a trigger and the disease may be hereditary. In 20% of the cases developes the disease as bilateral (both ears). Knowledge and understanding of the disease is often low, leading to many misconceptions about treatment. Older traditional methods often gives serious, sometimes permanent, side effects. There is no evidence that the different natural methods or medicines would have a lasting effect, rather it coincides with that Meniere come and go into relapse. Recurrent episodes of rotary vertigo. Tinnitus and / or a feeling of pressure (fullness) in the ear. Intensity, duration and interval between attacks varies greatly. Some patients often have only one symptom for years before the first vertigo attack. Have you been diagnosed with Meniere there is help. Clinical studies show that the pulsating pressure treatment with MeniQ is an effective method for the treatment of Meniere's disease. There are no known side effects. Studies also show that, in order to avoid future serious injuries, it is important to get started as soon as possible with the treatment. All modern treatment is prevention, but MeniQ is also used for acute attacks. A treatment of Meniere's disease with MeniQ takes just minutes. 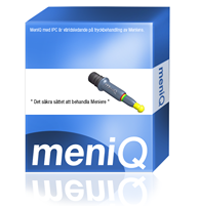 MeniQ is also an excellent complement to other treatments. 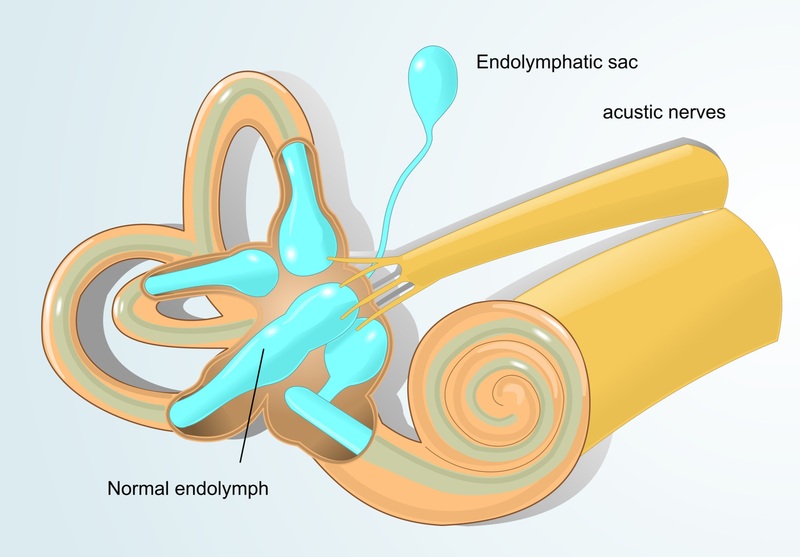 The cause of Meniere's disease is related to endolymphatic hydrops (excess fluid) in the inner ear. 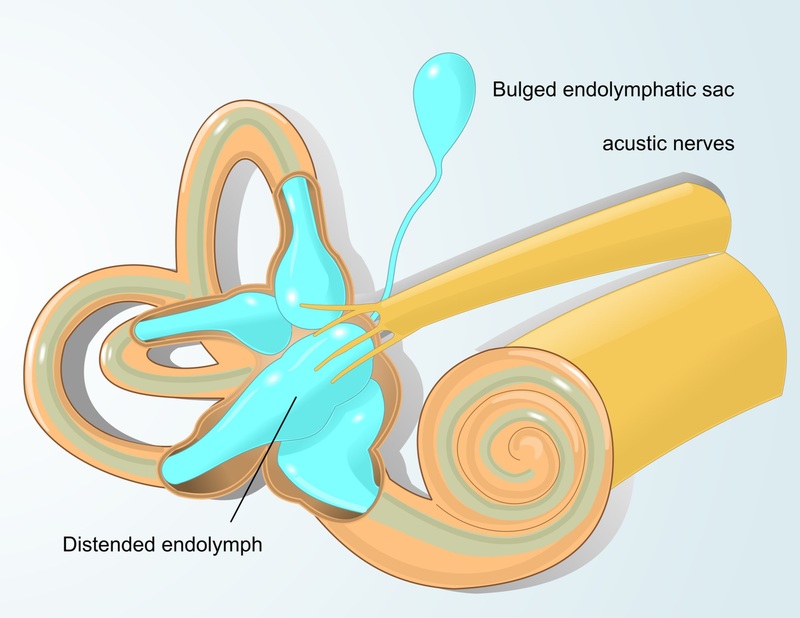 Membrane labyrinth, a system of membranes in the ear, contains a liquid called endolymph. If the volume of endolymph increases, membrane becomes swollen like a balloon (blue part) and causing injury. This is called 'Hydrops'. If the natural evacuation of endolymph is prevented affectes balance and hearing. Lifestyle and stress is often a trigger and is further reinforced by excessive consumption of salt. Some experts believe that as many as up to 4% of the population in industrialized countries may be suffering from Meniere. Many diseases have symptoms similar to Ménière. For diagnosing Meniere's disease, this guideline is determined by the AAO HNS CHE*. This means that in the early stages of Meniere's disease, Possible and Probable, appears not all the symptoms and it can be difficult to make the diagnosis. * American Academy of Otolaryngology-Head and Neck Surgery Committee on Hearing and Equilibrium. Fluid retention may contribute to Meniere's disease. Salt, which binds fluid in your body, you should be cautious. The aim is to affect the fluid balance in the inner ear.